Something I adored was the set up of the ride queue. 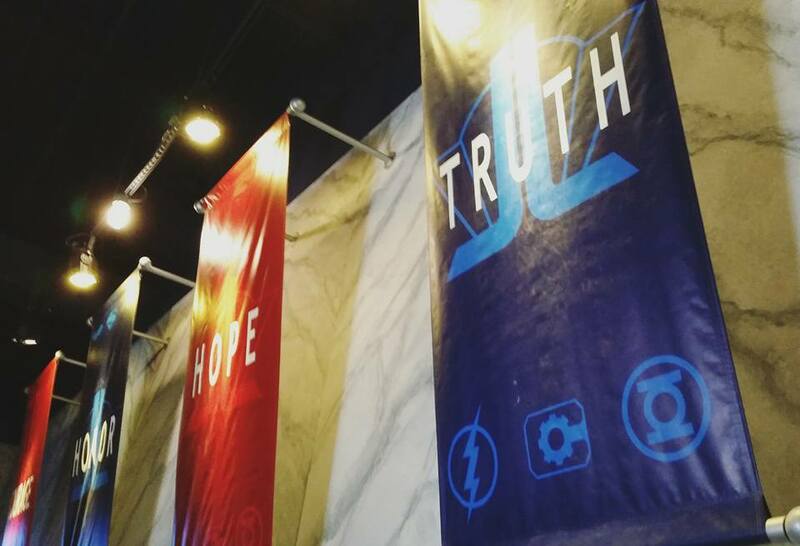 You enter the front doors of the Hall of Justice, and get immersed into the story. You enter and see TV monitors broadcasting what’s going on: Lex Luthor and the Joker have teamed up and started capturing the Justice League members – so far, they have Green Lantern, Flash, and Supergirl, and during the wait, they also get Wonder Woman. Cyborg is running the operations for the rest of the gang from the Hall of Justice, and he’s recruited your team to help Batman and Superman to save the others! You also get the occasional message from the Joker and Lex, both warning you not to attempt to stop them. Which, of course, you don’t listen, as with any good ride! 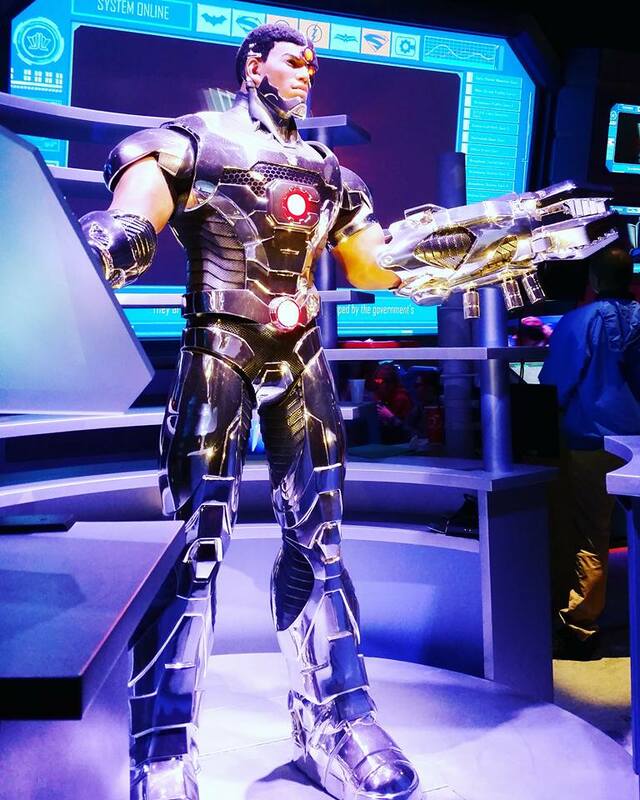 By the time you get to the loading dock for the ride itself, you see Cyborg himself. But how was it? Excellent! The ride is actually very reminiscent of some of my favorite rides at Universal Studios Orlando – Transformers 3D and their Spider-Man ride, crossed a bit with things like Disney World’s Toy Story Midway Mania. 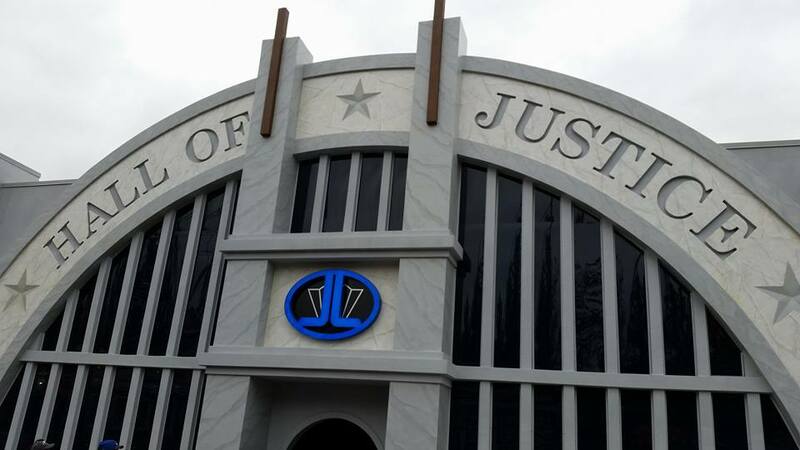 It’s a 4D interactive ride, where you are given “stun guns” to battle the henchmen sent by Lex and the Joker. It’s a combination of real effects and 3D effects, while riding through on a motion simulating vehicle. Though it isn’t as extreme as Transformers, if you’ve ever ridden it before you would definitely see the similarities. Now, obviously, I love Batman. 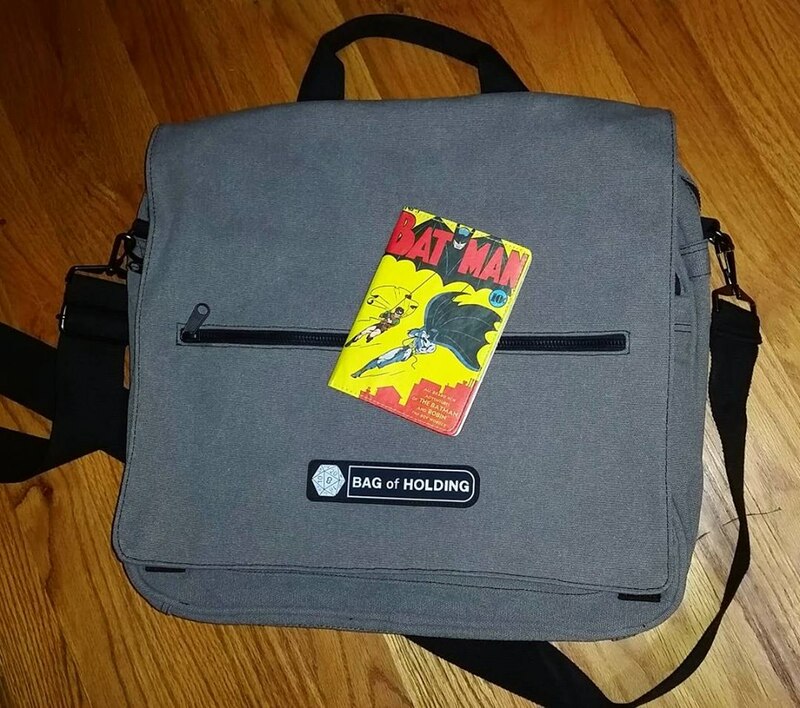 So most anything Batman related I will praise if I like it. But I wasn’t alone in riding this – my mother (nearly 60), older brother (36 years old) and my nieces (4 and 6) all thoroughly enjoyed the ride as well. It was a perfect family ride, honestly, and entertaining for all parties. I personally wanted to ride it over and over, but after waiting nearly two hours, I wasn’t ready to jump back into that two hour line. Next time, I’ll get a Flash Pass to bypass that wait! So would I recommend it? Definitely! If you’re ever at Six Flags St Louis or any other Six Flags that builds this ride – ride it! Enjoy yourself! Geek out a bit! I’m hoping to cover Six Flags a bit more thoroughly in the future. Luckily, I have a 2016 Season Pass, so I’ll definitely have more to come on it! If you have any questions, leave them below in the comments! You can check out more about the ride and Six Flags St Louis here.